In other words, my little man is mobile. And while it’s so amazing to watch his discovery process, I couldn’t help but worry over his tender wee knees! 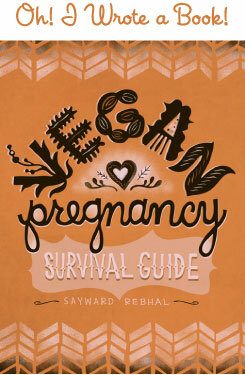 I tried to tell myself I was an overly-paranoid new mommy, but a distinct patter emerged that confirmed my concerns. 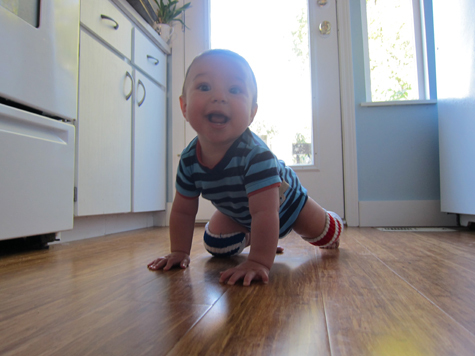 He modified his crawling style whenever he was on hard surfaces. Unacceptable! 1. Don’t throw away those worn out old socks with the blown out heels. I’d been saving these guys in my sewing box for months . . . I knew they’d be perfect for something some day! 2. Cut off the ‘tube’. 3. Take your 2 tubes and slide one inside the other. 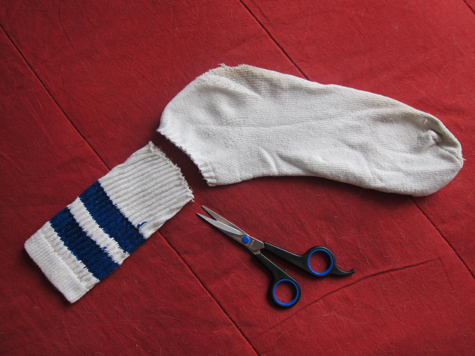 You’ll do this twice, one for each pair of socks, to end up with two leg warmers that are each two tubes thick. Is that totally confusing? For softer surfaces (like our upstairs carpet shown here) you can use them as is, just the tube-within-a-tube. They make great little leg warmers for around the house. 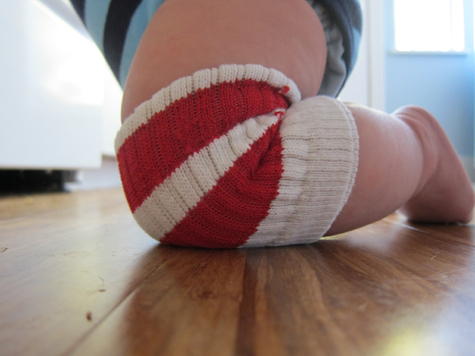 Diaper changes are so much easier in leg warmers as opposed to pants! 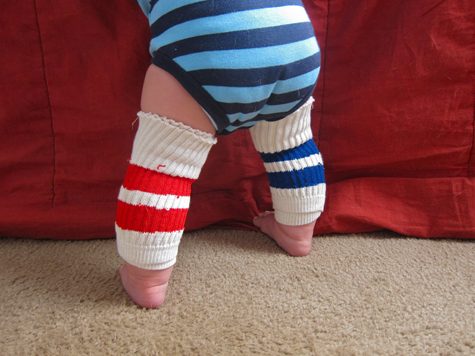 If your little one is young/skinny, turn the tubes elastic side up. For rolly-pollies like Mr Waits, keep them elastic side down. 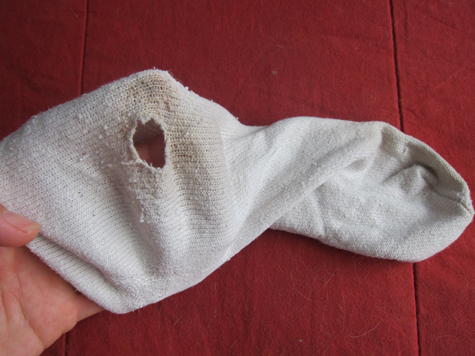 For harder surfaces, fold the tube into itself once more, to get a shorter knee pad that’s now 4 layers thick. 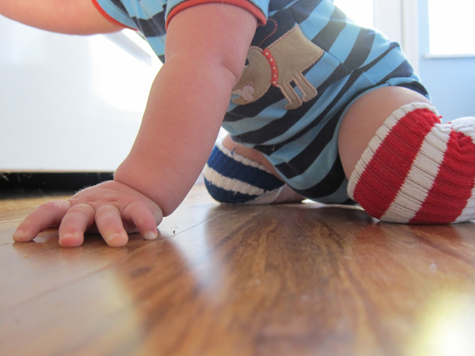 It’s surprisingly durable, won’t slip around, and allows your brave explorer to cruise the floor bruise-free. Wait’s tested, Waits approved! No more worrying, moms. Let ‘em at it!